In accessible and evocative prose, the author takes the reader behind the great exhibits to reveal their origin and meaning. Stephen Quinn ably explores the art and science of the diorama's ecological vision and in the process demonstrates the continuing significance of this historic exhibition form in today's world. Since its founding in 1869, New York City's American Museum of Natural History has become one of the world's preeminent scientific and cultural institutions, attracting four million visitors annually. 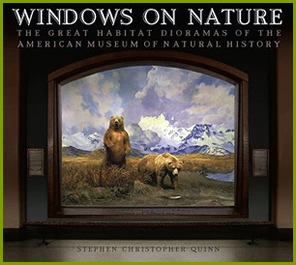 In Windows on Nature, the first and definitive book on the museum's world-renowned habitat dioramas, author Stephen Christopher Quinn guides readers through the museum for a dazzling look at nature, science, and art that is sure to inspire readers young and old alike. This richly illustrated volume features vibrantly detailed full-color photographs of more than forty dioramas, rare and never-before-seen historical images from the museum's archives, and informative, entertaining descriptions of each diorama and its creation. Quinn's behind-the-scenes tour of these three-dimensional marvels introduces us to an extraordinary group of explorers, naturalists, painters, sculptors, taxidermists, and conservationists whose brilliance, passion, and eccentricities illuminate their creations. This unique showcase offers an exclusive look at the fascinating and sometimes mind-boggling techniques of diorama making, the development of dioramas as an art form and as a tool for wildlife conservation, and the museum's preeminent role in the history of art in the service of science. This beautiful book is both timely and long overdue. To untold thousands of children of the post-war generation, the dioramas of the American Museum of Natural History were not only a perennial thrill but, to many of us whose parents ignored the Metropolitan Museum across Central Park, our introduction to art. Finally, the art of the American Museum has its own catalogue, with sumptuous reproductions of the dioramas, revealing archival photographs, and an illuminating and lively text accessible to art and nature enthusiasts of any age. Rounding Up Nature to Preserve Under Glass - New York Times article on Windows on Nature. Windows on Natural History - Times reporter William Hamilton gets an inside look at dioramas from Stephen Quinn, lead curator of the American Museum of Natural History. 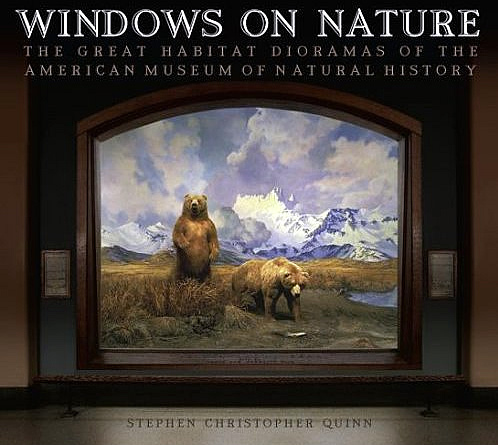 Purchase Windows on Nature: The Great Habitat Dioramas of the Museum of Natural History at Amazon. 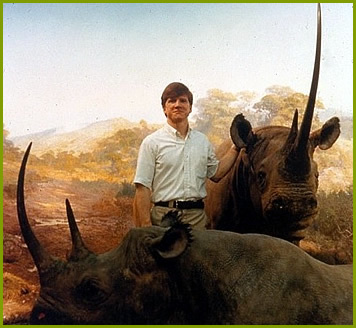 Apprentice artist Quinn in the Black Rhinoceros diorama in the Akeley Hall of African Mammals in the American Museum of Natural History in 1975.